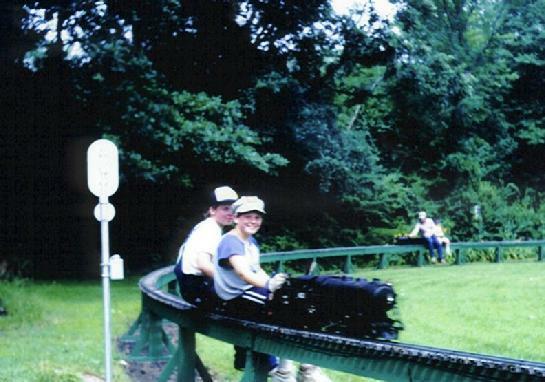 It's July 26th, 1987 at the former Norfolk Street site of the Waushakum Live Steamers in Holliston MA, and all is well with the world. 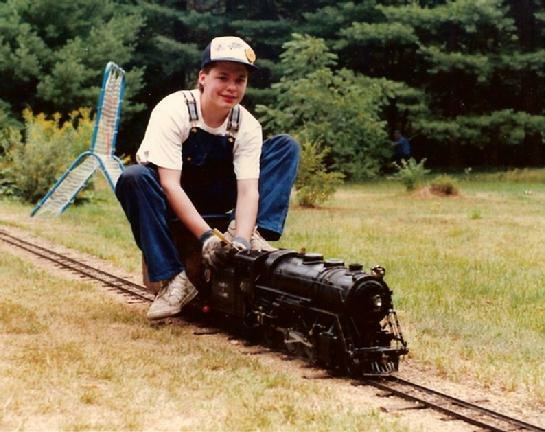 10-year-old Dave Kurdzionak operates his brother John's 3/4" scale Friends Models 4-6-6 Boston and Albany tanker, with John (age 15) seated behind him. This was real live steaming, at its best. It was a simpler time, when live steamers were "big enough to pull you, and small enough to manage". And this track was a very special place. Today, nothing at this location remains. 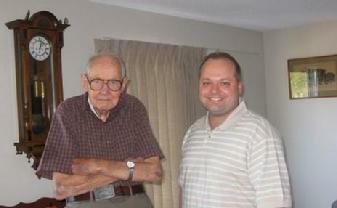 Richard Symmes photo. When I was a young man in the live steam hobby during the 1980s and 1990s, I was told that these small-scale designs, particularly those of H.J. Coventry, would "never be available again", could "not be produced", or had been lost or destroyed and "could not be replaced". At the time, those seemed to be valid and credible claims. Also, the old "Friends Models" line had closed about 1979 and its owner was not likely to reopen it. In 1990, I asked him to consider reopening it, and offered to help. He declined, not because of me, but rather because he was so disillusioned with trying to run the business prior, and didn't want a repeat. So, I asked him to sell Friends Models to me "if he ever decided to part with it". I was just 19 years of age when I made this request! Seventeen years later, it happened. The owner of "Friends Models" sold me the complete line of Lester Friend's "Yankee Shop" patterns, castings, blueprint masters, and design rights. In the interim between 1990 and 2007, I also sought the long-lost designs of H.J. Coventry, and travelled all over the USA and Canada to purchase them. These were combined with my 2007 purchase of the old "Yankee Shop" and "Friends Models" lines, and from all these, "Friends Yankee Shop Models" was formed. It is a combination of the original "Yankee Shop" name from 1938, and the 1950 name change to "Friends Models". Friends Yankee Shop Models offers, and will offer, traditional sand-cast castings (made at local foundries in New England, USA), as well as the original hand-drawn blueprints for these "classic live steam of yesteryear" designs in the small scale sizes by Lester Friend and H.J. Coventry. The patterns have been sorted and organized, repaired as needed, and cast. Castings have been inventoried and stored in modern bins. Drawings have been sorted and stored properly. Designs that were off the market for decades, have returned, or, will return. John Kurdzionak (me) on my Friends Models Boston and Albany 4-6-6 tanker in 3-1/2" gauge. Taken in 1987 at the home track of Brotherhood of Live Steamers founder Charles A. "Carl" Purinton. Robert Hornsby photo; used with permission. 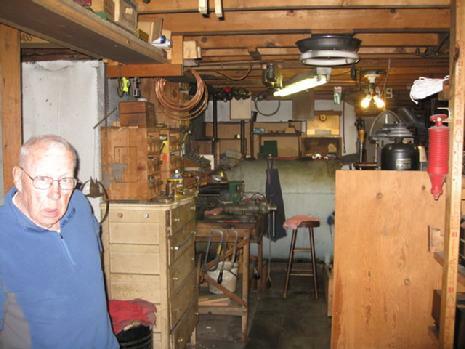 Charlie Purinton, son of Brotherhood of Live Steamers founder Carl Purinton, in his home shop in October, 2008. 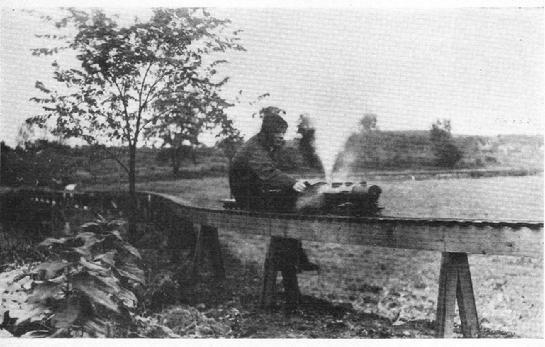 In the 1980s, I learned to "run and fire" 3/4" scale steam engines on Charlie's home track with Charlie as my teacher. I was the last visitor to Charlie's home, and the last person to photograph him at home. He suffered a heart attack and went into "Senior Housing" shortly after these photos were taken. 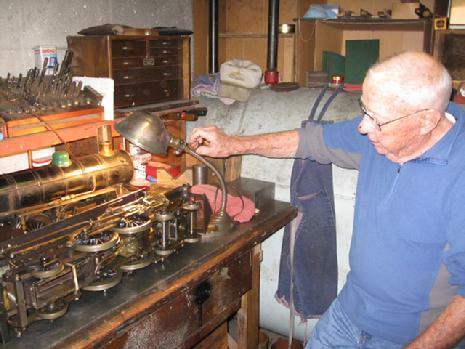 Charlie Purinton in his home shop in Massachusetts, shows one of his locomotives to John Kurdzionak (me) in October 2008. Here is Charlie Purinton when he was 16 years old in 1938. The locomotive is a 2-1/2" gauge Boston and Maine 2-8-4 Berkshire. Friends can produce the design, if you'd like it available again. Friends has Charlie's father's (Carl Purinton) master drawings, done in ink on vellum in 1931 with assistance from pioneer live steamer Harry Sait. Here is Gene Allen of Allen Models, Goleta CA, and John Kurdzionak (me). The date is November 2008.